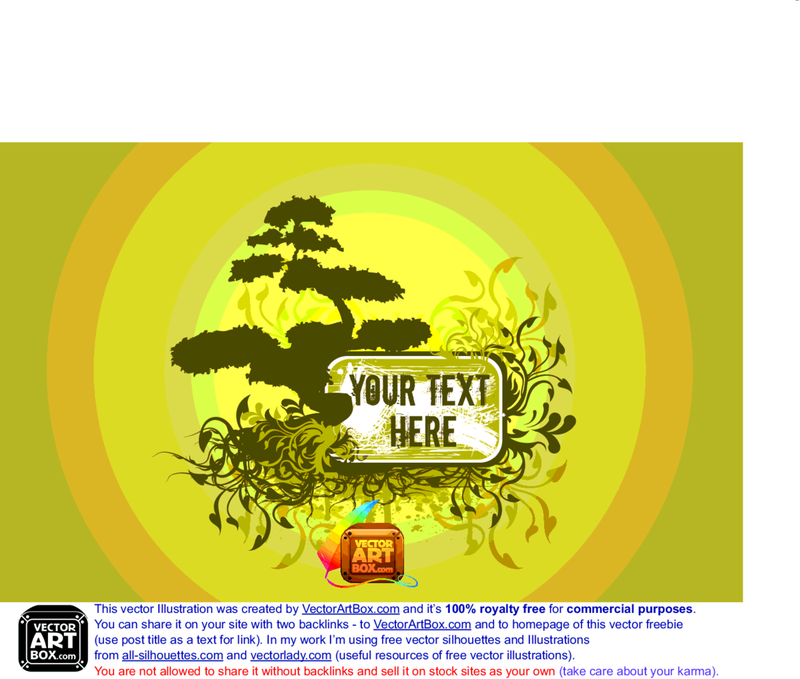 Free vector frame in a floral style design with a bonsai tree and roots as decor silhouettes also. Grunge splashes, florals, leaves, swirls and curves is decorate this art free vector. Free for commercial use.